Whether you plan to pack up your own car, hire a van or sought out the luxury of a camper, here we take a look at the top places you can travel by car in Australia. From seeking the iconic road trip experience to simply getting out of the city for a change, these places offer a great mix of driving, adventure and relaxation that will appeal to everyone. Driving to the tip of Australia is probably not the first thing that springs to mind when people think of Aussie holidays, but it is becoming a more and more popular way to experience the country. Sitting at the top of Queensland, the Cape York Peninsula makes up the famous “tip” of Australia (it’s farthest northern land point on a map). It is this destination that’s in mind when people set out on the “Trip to the Tip” – a journey usually taken from Cairns all the way to the northernmost point of Cape York. 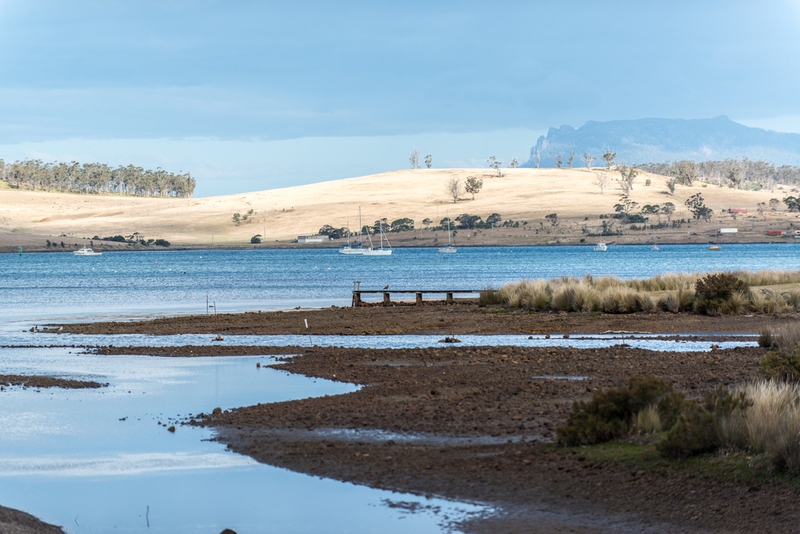 It doesn’t get the same headlines as Victoria’s Great Ocean Road, the drive up the east coast of Tasmania is actually one of the country’s best. Bushwalking, fishing, diving and fine dining are just some of the other experiences this drive has to offer, making it as much about the journey as the destination. The Bay of Fires is about 274km north of Hobart, and could actually be done in half a day if you made few to no stops, but it’s recommended that you take at least five days. Some of the most popular stops include Maria Island, the Freycinet Peninsula, Wineglass Bay, and picturesque coastal towns. “Sea kayak and hunt down history on Maria Island, sample farm-fresh berries and wine near Swansea and take in the perfect contours of Wineglass Bay in Freycinet National Park,” Tourism Australia suggests. This drive is from Cape Leeuwin near Augusta to Cape Naturaliste near Busselton. 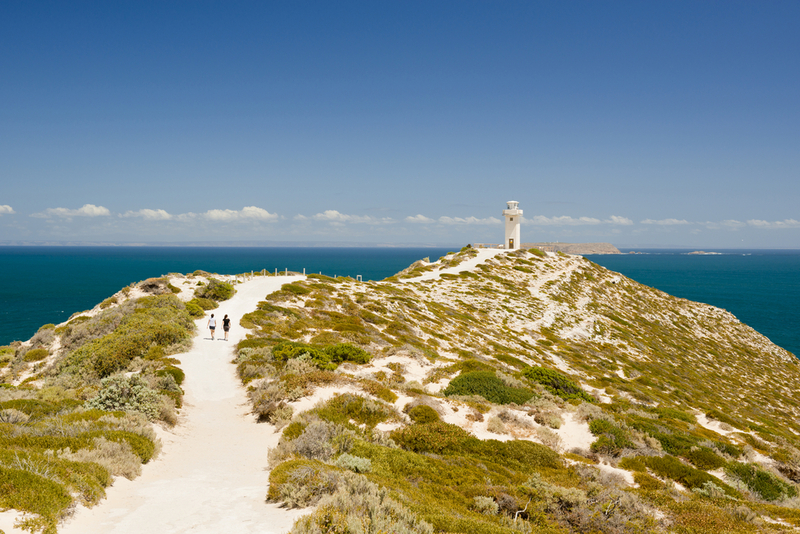 While these two capes are just 106km apart, there trip is jam-packed with stunning scenery. With the option of driving along the coast (Caves Road) or slightly inland on the Bussell Highway, you can choose to make the most of stunning beaches and beautiful bushland along the way. Right in the middle of the journey lies the popular tourist town Margaret River and its blend of surf and wine culture. 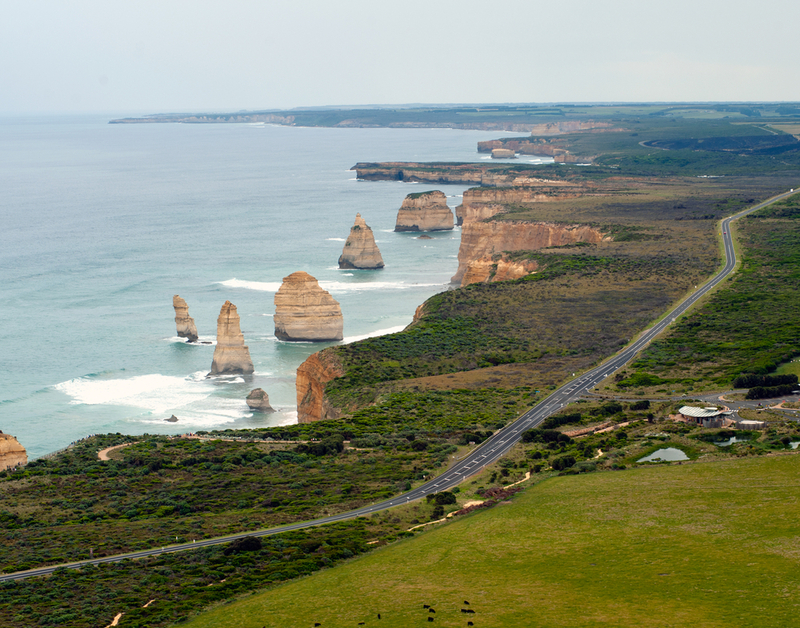 The iconic Twelve Apostles sit 7km from Port Campbell in the south-west of Victoria and mark out one of the essential views along the Great Ocean Road. But it’s not just the sandstone structures that draw tourists. Getting there is a pleasure in itself. Cliff-hugging curves, seaside cafe’s, emerald rainforest, fresh local produce and charming seaside villages are all part of the driving experience. So whether you drive from Port Campbell to the west or Melbourne to the east, the Great Ocean Road trip to the 12 Apostles is almost considered an Australian travellers rite of passage. This gorgeous drive takes you through the mid-north coast of New South Wales right up into the Gold Coast Hinterlands in Queensland, offering some of the best sights in both of these states along the way. The actual “Rainforest Way” is presented as a series of day and half-day loops that can take a number of different forms and lead to many destinations. It was created in 1994 as a regional and state tourism initiative between NSW and Queensland state governments, as well as private operators. Main attractions are the dramatic spike of Mt Warning, an ancient plug of solidified lava, towers dramatically above the drive and the meandering Tweed River. 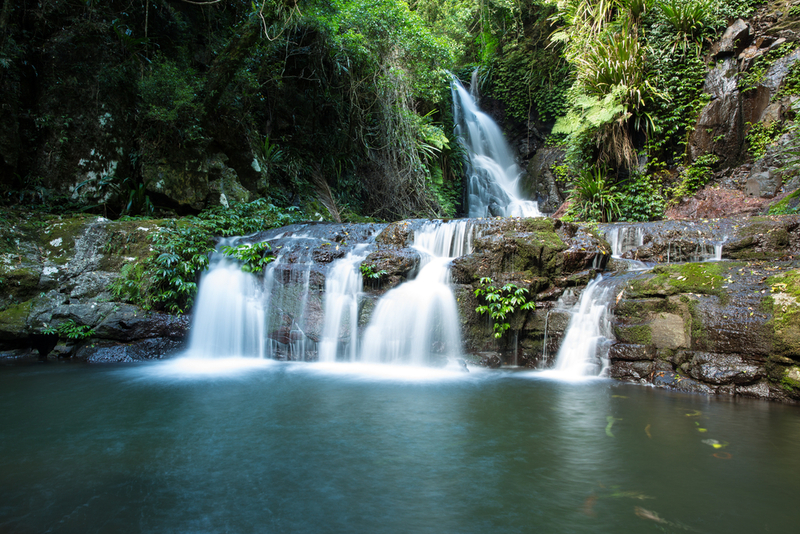 Waterfalls hidden by shady canopy are best explored on foot – Minyon Falls in Nightcap National Park and Protesters Falls on Terania Creek are beautiful. Stop off at quirky local villages such as Nimbin (Australia’s counter-culture capital), historic Tyalgum or Channon for the monthly markets. For the more ambitious driver’s, a start somewhere on the mid-north coast of NSW – such as Port Macquarie or Coffs Harbour – and an end in Brisbane leaves lots of wonderful room for exploring along the way. Need to sell your current vehicle? Are You Selling is the quick and simple way to sell your car. WE COME TO YOU! Get a quote now!